Choosing Best Hiking shoes can be a tough job right? but now not anymore. Just Answer this simple Question below. 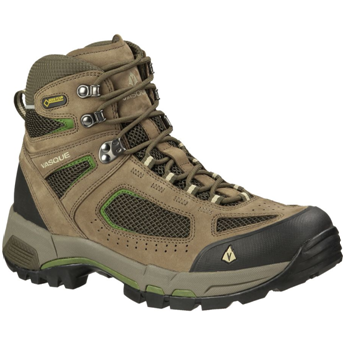 What do you think a hiker will look for in a pair of hiking boots apart from the design? Needless to say, a hiker will not look for what’s trending in the market because, quite simply, not all trails are similar, nor are personal requirements. On that note, you’ll probably be considering any of the following parameters: comfort, grip, availability, price, color, brand, durability, protection, balance, ventilation, product reviews, and of course, the design. An ideal pair of hiking boots should not just be comfortable and durable, but should also provide full protection to feet and should not be very heavy. With the advancing technology and the hunger to get better and provide better, different companies are trying their best to provide people an ideal pair of hiking boots at a reasonable price. With the presence of so many hiking boots in the market, it becomes hard to choose one which meets your personal choices and needs. Purchasing any commodity becomes confusing and arduous when you come across unnecessary and biased suggestions and reviews. The good news is that if you’re on the lookout for the best men’s Hiking boots 2017 for the first time— or already have in the past but got it all wrong—the following compilation of Best Backpacking Boots has got you covered. Salomon Men’s Quest 4d 2 GTX stands atop this list despite much competition from other entries because there are many positives that make it perfect for hiking. For instance, it provides excellent feet protection with good arch and over-ankle support as a result of its solid shock-absorbing insole. It isn’t too heavy either and durable. What’s more, these boots assure full unparalleled comfort for long-distance hikes. There are a few drawbacks as well which a hiker should always consider. Carrying heavy backpacks for long durations can be a bother as you may feel fatigued with these boots on. Another negative is that you might need to tighten the laces after every 2-3 miles because they tend to unfasten. Other than these issues, these are still the best hiking boots in the market. 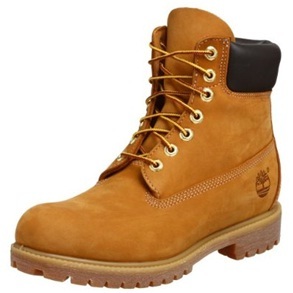 Timberland is a pioneer the manufacturing of premium shoes and boots. Timberland Men’s Chocorua Trail Gore-Tex Mid Hiking Boot is another exhibit of their excellence in boot-making. The boots appear comfortable right out of the box and maintain it for a long time when worn. They’re light-weight; but under no circumstance have they been compromised instability and foot protection. The problem with these boots is that lacing system isn’t as efficient as its competitor mentioned above. Moreover, the tread on these boots wears out pretty quickly. 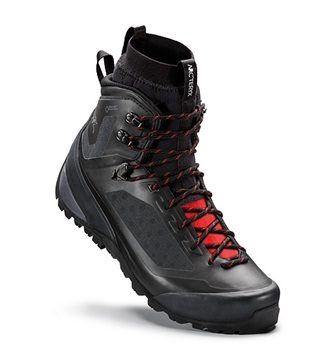 Nevertheless, they’re exceptional hiking boots made for the light and moderate backpacking. Keen Men’s Targhee II Mid WP is 3rd on the list because it provides toughness to tread on any terrain with ease, and great comfort at the same time. With a protective toe cap in place, you can be sure that your feet are armored against stubs and falls. They aren’t too heavy either when worn which makes them the ideal choice for hiking with light or medium baggage. 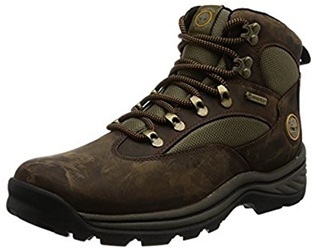 Though the manufacturers were successful in making a tough hiking boot that fits the budget, it still lacks in durability while carrying heavy backpacks. 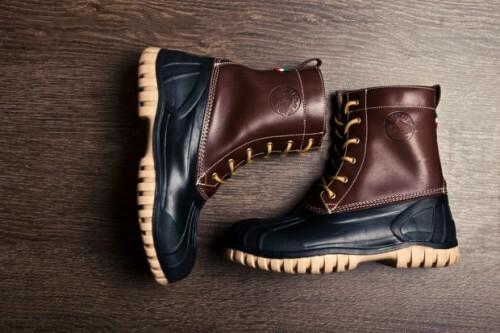 Timberland Men’s 6” Premium Waterproof Boot is an ideal fit for heavy backpackers. It’s strong for added durability and provides good ankle support and foot protection. Also, extreme temperatures have no noticeable effect on the boot and feet when put on. These boots might be lightweight, but don’t doubt its capability of pulling off intense hiking on the roughest of terrains with heavy loads. They offer excellent stability and uncompromised traction even in the most extreme temperatures. 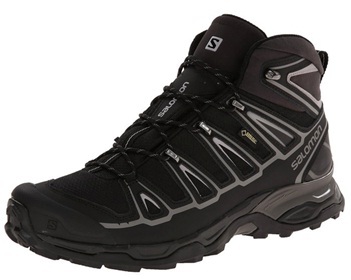 Here’s another Salomon product which makes this list as it’s immaculately ventilated, waterproofed and comfortable. A rigid outer sole provides support on rough terrains. However, the only drawback with these hiking boots is the inner sole which makes carrying heavy backpacks uncomfortable. 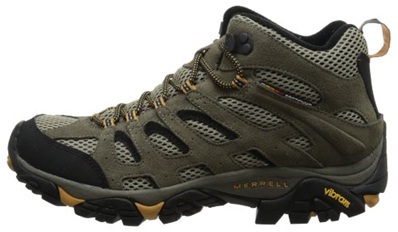 Merrell Moab Ventilator Mid Hiking Boots are another great choice if you want to go hiking with light and moderately-heavy backpacks. It provides stability under all conditions. Also, the traction is excellent on both dry and wet surfaces. Another plus point is that the ventilation and fabric prevent temperature changes from affecting the freshness and airflow. The snag, however, as with many other boots is that their thin inner soles may easily wear out. Vasque Men’s Breeze 2.0 Gore-Tex Hiking Boot isn’t on the heavy side but provides great stability, even with heavy backpacks. Breathable exceeds all expectations and allows your feet to stay fresh, thus keeping you comfortable. An awesome arch and lateral support are also some top-notch features on offer at a fairly low price. The liability of these boots has to be the inner padding, which is scanty. Furthermore, the lacing system lacks grip which can be unimaginably annoying. 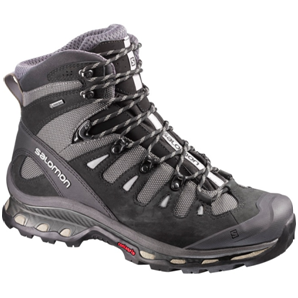 Scarpa R-Evolution GTX makes for a serious gear for the alpine terrain, but without compromising comfort. By offering the stellar support and stability, it provides glove-like fitting. Composed of a stretchy fabric and memory foam, you’re bound to get a great fit and exceptional breathability. The fabric also enables you to conveniently tighten or loosen the laces. The problem with these boots, which are the flimsy laces—that keep unfastening on their own—can always be upgraded. Arc’teryx is on the lips of extreme hikers and newbies alike. And rightly so; its impressive design and superior quality work wonder in warm conditions and on rocky terrains. They also provide a snug fit as a result of the liners, which are removable but still can be worn with socks. The outer shell offers good protection and outstanding traction on rocky trails. The boots mentioned on this list are the best when it comes to hiking, come rain or shine. Time to shelf your old boots, and get a pair immediately for adventures that await you. How to choose Best Hiking Boots – Best Buying Guide? Looking forward to hiking? The first and foremost thing to consider is a hiking boot. Hiking is an adventurous sport which challenges a person both physically and mentally. Since it requires great physical commitment, your hiking boots should possess all the qualities to help you out on a hiking adventure. Your hiking boots should be in accordance with your needs. Selecting a hiking boot for your journey is the most important but at the same time a difficult process. There are some points you always need to consider while looking for hiking boots for your needs. To help you out, here are some tips for buying a good pair of hiking boots or shoes. A wide range of hiking boots is available the in the market these days for different kinds of hiking. By different kinds of hiking, I’m referring to types of hiking which varies with terrains, time periods and ability level. It’s always necessary to know your goals while choosing hiking boots. Do you wanna go for a light hiking or wanna go for rough trails? Ask yourself these questions. For different conditions, different hiking boots are ideal. 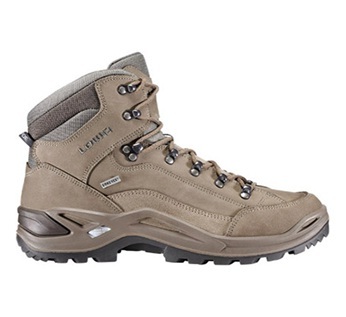 For a casual hiking, a lightly weighted hiking boot which won’t slow you down is a better option. But for rough terrains, mountaineering boots are the right choice to make. It becomes easier to choose the right pair when you are aware of your goals. These boots provide protection even against rough terrains and harsh weather conditions. Heavy stuff can be carried with these boots. They are firm inside and outside with a thick layer of padding. Mountaineering boots are generally heavy. These are high cut boots which provide ample rigid ankle support for rough terrains. Hiking boots referred to as hiking shoes are light weighted. For hiking with light backpacks, hiking shoes are very efficient. Hiking shoes are very flexible. Hiking shoes are low cut boots and provide ankle support to only an extent and hence are suitable for casual hiking. The weight of these boots lies between mountaineering boots and hiking shoes. They are preferred while carrying heavy backpacks. They are generally medium-cut but can be high cut sometimes. They are not as sturdy as mountaineering boots but are little more flexible. Assessing the technicality and specifications is a necessity while looking for any product. Ankle support, quality of soles, padding and many other features makes a pair of hiking shoes/ boots worth your money. Feet protection: – Hiking in rough weather conditions and unstable terrains may cause injuries. Injuries while hiking is generally related to ankles and feet. Therefore, ankle support and arch support should be good enough. Moreover, construction of the boot also matters. 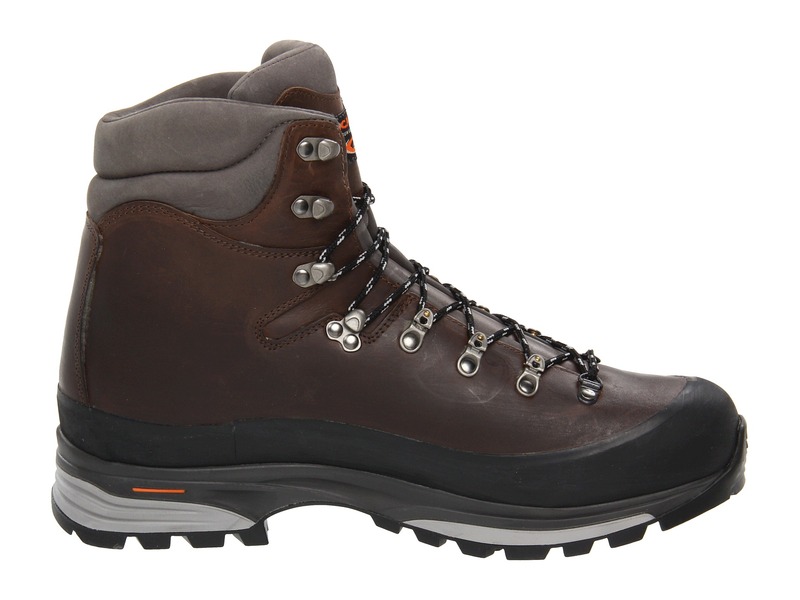 A well-built hiking boot with toe caps, hard soles, and other features ensures you a safe journey. Firm Ankle support:- Ankle support protects your ankle from any injuries and also comforts you while hiking. Different ankle supports are used for making boots for different types of hiking.For example- High cut hiking boots are a perfect choice for rough terrains because of the rigid ankle support they provide. Good heel and lateral support are just as important as good ankle support. The boots should be firm and flexible at the same time to be able to take a load of heavyweights or backpacks without causing any decrement or resistance in motion. Outsole and grip: – Outsole should be rigid with proper grip even on slippery surfaces. You can check this out very easily if you are buying hiking boots from a store. Outsole protects feet from any harm. Weak outsole means a sure injury. A strong outsole makes a hiking boot durable and effective for long distance hiking. Proper insole: – Proper insole is as important as the outsole. Insole shouldn’t be very hard. Insole should be comfortable and durable. Collar padding: – Enough collar paddings in boots provides comfort, feet protection and adds to the stability of the boots. 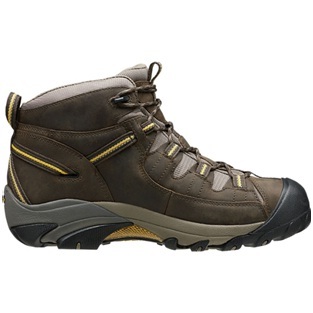 Make sure while purchasing a hiking boot that is collar padding is thick layered and provides support to feet. Lacing system: – A very small thing people forget sometimes while buying a hiking boot is checking the lacing system .Bad lacing may cause trouble while rough trails and can also lead to accidents. Also, it is annoying to tie knots again and again after every 2 miles when you are up for a long hiking. Breathability and water resistance: – Harsh weather conditions can cause great problems while hiking. If your hiking boots are not breathable and water resistant, then humidity and water will enter your boots causing tiredness, trench foot, blisters, fungal infections and other problems. Breathable and waterproof hiking boots prevent temperature and humidity to ruin the freshness of your boots and your feet. This, in turn, keeps you active during hiking. Choosing the right size of the boot is a process itself. A good pair of hiking boots is what keeps the fun of hiking alive. Ill-fitted shoes can lead to issues like cramped toes, sprains etc. Sometimes, sizes written on the box don’t fit your size. This happens because everyone has different foot shapes. Your feet shape could be narrow or wide. So it is better to put on the boots for testing your fit. Choosing the right socks is important too. Socks should be comfortable and thick but breathable. Their thickness and size should be kept in mind while looking for a pair of the boot so that the boots can fit easily with socks on. Toe caps should also be considered. Our Readers commonly asked what is the difference between leather and synthetic hiking boots? So we address the major differences between leather and synthetic hiking boots below. The leather is used widely in making hiking boots. Leather boots provide protection against harsh weather and have great abrasion resistance. Leather shoes are heavy. They are more expensive than synthetic shoes. Leather shoes are very rigid and hence less flexible. Three types of leather materials are used in making leather boots. Full grain leather has great abrasive resistance. It is most durable but lacks flexibility. It is also heaviest among the three. It is very expensive. Nubuck has good abrasive strength too. It is less durable but more flexible than full grain leather. It is less expensive and weighs less. Synthetic leather is least durable of all three. It is made by using synthetic materials like polyester and nylon and hence lacks the durability of natural leather. It is light weighted and least expensive of all three. Synthetic materials like nylon, polyester are used widely nowadays for making hiking boots. Synthetic boots are cheap and light weighted. They are waterproof and breathable but are prone to abrasion damage. Thus, if you want to go for an all out hiking adventure with serious backpacks, full-grain leather boots are most effective. But if you are going for a casual or weekend hiking, go for lightweight synthetics shoes.